The Avengers are unstoppable at the box office. They’ve steamrollered through all past opening weekend records, beating out the former number one top-earning domestic weekend film, J.J. Abrams’ Star Wars: The Force Awakens, Deadline reports. Even better for Disney, this means that the extremely high estimates of the film earning $250 million this weekend have now become fact, giving the company plenty to celebrate. It looks like Earth’s Mightiest Heroes are already exceeding the enormous expectations set upon them. Already, Infinity War is nearing the record for a movie’s debut opening weekend. As of now, Deadline reports that the film is set to earn $245.6 million this weekend, provided the projections hold up. The movie’s only competitor based on that sum would be the first installment in the new trilogy for a galaxy far, far away. It’s still possible that Infinity War can skate through, earning the approximate $2 million that will give it the official record. The war begins. Avengers: Infinity War has already been making headlines with its ridiculously impressively $39 million preview numbers from Thursday. It is the highest grossing Marvel preview, well above Avengers: Age of Ultron by a little over $11 million. In fact, it looks like the massive success of Black Panther is only the beginning of Marvel’s box office takeover this year. As of now, projections would place the film at the fourth-highest opening day. The other films that are ranked higher also rely on their franchise power, with its only previous competition being the two latest installments in a galaxy far, far away as well as the eighth Harry Potter film. 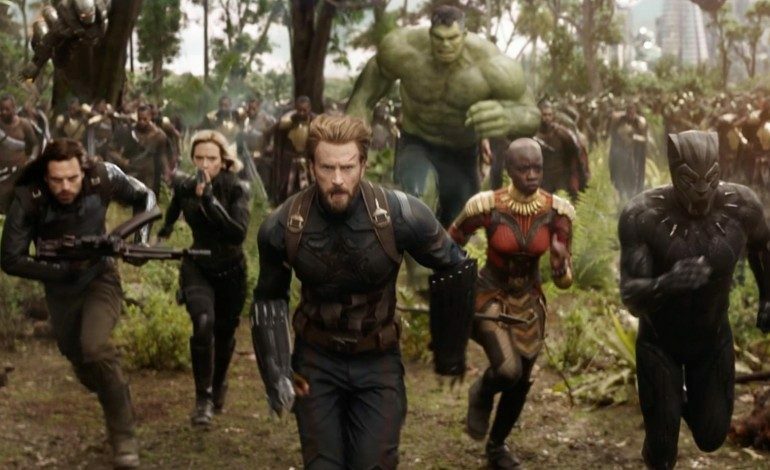 Infinity War’s projected opening weekend is even more intense: the film looks to make around $225-$233 million then at box office, according to Deadline. The spread is extremely wide for the film because box office estimators have never witnessed as large a film as Infinity War during this time of year, ever. Coupled with the fact that pre-sale tickets are skyrocketing, it is almost impossible to tell where the film will truly land between the estimated numbers. It is even quite possible that the film will surpass the projections and become one of the highest grossing opening box offices of all time. Earlier this week, projections left some thinking that the film could earn $250 million, but as of now, it’s still up in the air and the facts lean towards the more conservative aforementioned range. Avengers: Infinity War is basically the culmination of all of the Marvel Cinematic Universe’s films’ characters placed into one. Everyone from Iron Man and Captain America to Black Panther and the Guardians of the Galaxy are featured in the film. The Marvel heroes must try their best to fight against the ongoing threat of Thanos, one of the most powerful beings of the universe who is trying to fuel his tyrannical power through the use of his Infinity Gauntlet, which is meant to hold the all-powerful Infinity Stones. The film is already gaining worldwide praise, and is selling out in theaters across the country and world. Will it surpass expectations and break records? Or will it stay the course and remain another successful Marvel film?